With the recent media attention given to the ALS Ice bucket Challenge, I thought it would be beneficial to consider Amyotrophic Lateral Sclerosis from a Chinese medicine perspective. I am not suggesting that Chinese medicine cures ALS. I am not suggesting that you should ignore your doctor’s advice or stop conventional treatment if you have ALS. The following is a theoretical discussion based on a synthesis of ancient Chinese medical literature and modern biomedical research. It is not based on clinical experience with ALS. According to the ALS Association, Amyotrophic Lateral Sclerosis, or “Lou Gehrig’s Disease,” is “a progressive neurodegenerative disorder that affects nerve cells in the brain and the spinal cord” (ALSA.org/about-als). As these nerves die, those who suffer from the disease gradually lose muscle control, until complete paralysis—and ultimately, death—results. The Chinese character, wěi 萎, meaning “atrophy” or “wilting,” is composed of two parts. The upper part, cǎo 艹, means “grass” or “plant,” while the lower part, wěi 委, means “to fall” or “to hang down” (Scheussler, 512). As I have mentioned in previous posts, I am not a Chinese language specialist, but the concept of a wilting plant seems an accurate and poetic description of the physical atrophy commonly seen in patients with neurodegenerative disorders like ALS. Atrophy syndrome was first mentioned in chapter 44 of the Huáng Dì Nèi Jīng Sù Wèn, one of the foundational texts of Chinese medicine. What follows is a complex discussion about the various manifestations of atrophy, which requires a rather advanced knowledge of Chinese medical theory to understand. In most cases, atrophy syndrome is primarily related to dysfunctions involving the yáng míng 阳明, the chōng mài 冲脉, the dài mài 带脉, and the dū mài 督脉: several of the channels that traverse the body. Modern research suggests that the channels are closely related to interstitial connective tissue planes and that acupuncture points occur at the junctions thereof (Langevin & Yandow, 2002; Ahn, 2010). According to researchers, this interstitial connective tissue “constitutes a continuous network enveloping all limb muscles, bones, and tendons, extending into connective tissue planes of pelvic and shoulder girdles, abdominal and chest walls, neck, and head” (Langevin & Yandow, 2002). This potential link between acupuncture and the connective tissue makes it an ideal adjunct therapy in cases of ALS disease. “The brain is the sea of marrow…when the Sea of Marrow is insufficient, it results in revolving of the brain, noises in the ear, weakness of the legs, dizziness with spots, and the eyes without vision” –Huáng Dì Nèi Jīng Líng Shū, Chapter 33 (Wu, p. 133). In Chinese medicine, the Sea of Marrow (suǐ hǎi 髓 海) is a rather curious term. According to Shun-fa Jiao, a modern Chinese practitioner who has extensively studied the relationship between acupuncture and neurology, “Marrow (suǐ 髓) illustrates the changes the channels undergo after they enter the spinal canal” (Jiao, p. 68). Based on this description, and the one given in Chapter 33 of the Huáng Dì Nèi Jīng Líng Shū, a working biomedical definition of the Sea of Marrow would likely encompass the brain, the spinal cord, and the cerebrospinal fluid. From this perspective, it should be obvious that the Sea of Marrow plays a large role in neurodegererative diseases like ALS. 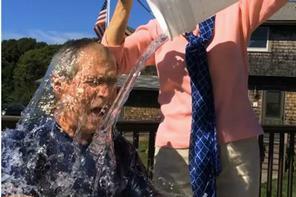 As of now, there is no cure for ALS. The only therapy that exists is a pharmaceutical drug called Riluzole. Unfortunately, Riluzole only extends the patient’s lifespan by 2-3 months, and it often causes undesirable side effects like nausea and fatigue (Skidmore, 2007). Without an effective biomedical cure, acupuncture and Chinese medicine must be considered as potential adjunct therapies to manage the symptoms of ALS and to reduce the side effects of Riluzole. 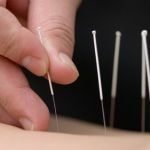 In a recent study, researchers found that integrative therapies, including acupuncture and Chinese medicine, improved subjective symptoms in patients. These patients reported feeling more comfortable, slightly happier, and more energetic; some patients reported more restful sleep and improved appetite as well (Pan, 2013). This study suggests that acupuncture and Chinese medicine have the potential to play a supportive role in conventional ALS treatment, both to improve overall quality of life and to reduce the side effects of Riluzole treatment. In another study, patients were treated with the following acupuncture points: Spleen-3, Lung-9, Heart-8, and Lung-10 (Lee & Kim, 2013). The researchers found that this point protocol had a significant influence on SpO2 (oxygen saturation levels) leading them to conclude that acupuncture treatment could positively influence inspiration (Lee & Kim, 2013). Inspiration (a.k.a. inhalation), is an active process facilitated by muscular contraction, primarily of the diaphragm and intercostal muscles (Tamarkin, 2011). This finding is particularly noteworthy, since the progressive neuromuscular degeneration of ALS ultimately leads to the failure of the respiratory system. Other studies suggest that electrical stimulation performed on the acupuncture point, Stomach-36, elicits anti-inflammatory effects in animal models of ALS (Yang, 2010; Jiang, 2011). Inflammation commonly accompanies the neuronal death that occurs in ALS patients, and many researchers are currently seeking ways to reduce the inflammation that is associated with the disease (ALSA.org/research). If acupuncture can potentially reduce inflammation in ALS patients, why not incorporate this safe and effective therapy into an integrative treatment strategy? 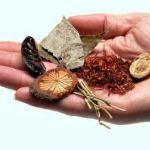 While much of this article has focused on acupuncture and the treatment of ALS, I’d like to take a brief moment to mention some potential Chinese herbal therapies. Of course, before undertaking any course of herbs, consult your doctor or primary healthcare professional. – Four Gentlemen Decoction: the most basic formula to fortify the Spleen qì. – Li Zhong Wan: slightly warmer than Four Gentlemen; also used to fortify the Spleen qì. 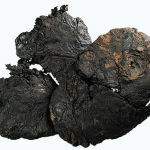 – Shi Chuan Da Bu Wan: fortifies both the qì and blood; includes Huang Qi (Astragalus root) to support the Lung and Rou Gui (Cinnamomi Cortex) to support the Kidney. – Cordyceps: fortifies the Lung and Kidney; helps maintain respiratory health. 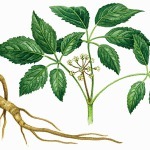 – Fresh Ginger root, Perilla Leaf, Chinese Date, and Licorice Root: a simple formula to ease the nausea that may accompany Riluzole treatment. Obviously, acupuncture and Chinese medicine have the potential to play an important role as an adjunct therapy to biomedical treatment for patients suffering from ALS. The conventional biomedical treatment for this disease extends life by up to three months, but may produce undesirable side effects like nausea and fatigue. Why not pursue an integrative approach, so that the patient can be as comfortable as possible throughout the duration of the disease? Ahn, et. al., (2010), Electric Impedence of Acupuncture Meridians. PLoS One. 2010; 5(7). Jiang, et. al., (2011), Anti-inflammatory effects of electroacupuncture in the respiratory system of a symptomatic amyotrophic lateral sclerosis animal model. Neurodegenerative Diseases. 2011;8(6):504-14. Langevin & Yandow, (2002). Relationship of acupuncture points and meridians to connective tissue planes. Anatomical Record. 2002 Dec 15;269(6):257-65. Lee & Kim, (2013). The effects of sa-am acupuncture treatment on respiratory physiology parameters in amyotrophic lateral sclerosis patients: a pilot study. Evidence Based Complementary Alternative Medicine. 2013;2013:506317. Pan, et. al. (2013). The use of integrative therapies in patients with amyotrophic lateral sclerosis in Shanghai, China. Evidence Based Complementary Alternative Medicine. 2013;2013:613596. Dawn Tamarkin, (2011). “Inspiriation and Expiration.” Available Online. Dr. Phil Garrison earned his BA in psychology from Pomona College in Claremont, CA. His focus was neuropsychology, and he wrote his undergraduate thesis on creativity and the brain. Then, he completed a four-year master's degree program in Chinese medicine at Five Branches University in Santa Cruz, California. In August, 2012, Dr. Garrison completed his doctoral coursework at the Pacific College of Oriental Medicine. His teachers included Giovanni Macciocia, one of the most highly respected practitioners of Chinese medicine. In 2014, Dr. Phil Garrison completed his doctoral research on the Huang Di Nei Jing, the foundational classic of Chinese medicine. He was awarded the title Doctor of Acupuncture and Oriental Medicine (DAOM), the highest honor in the field.